Week four’s prompt in the 52 Ancestors in 52 Week challenge is ‘Invite to Dinner.’ While he is not an ancestor, he is my 3rd cousin 4x removed. His name was William Calvin Oates. Anyone from Alabama may know who he was. William Calvin Oates was born on 30 November 1833 in Troy, Pike County, Alabama to William Truxton Oates and Sarah Sellers. He died on 9 September 1910 in Montgomery, Montgomery County, Alabama. William, as reported by others, had a very interesting life. Oates was born in Pike County, Alabama, to William and Sarah (Sellers) Oates, a poor farming family. At the age of 17, he believed that he had killed a man in a violent brawl and left home for Florida. Oates became a drifter, settling in Texas for a couple of years before returning to Alabama at the urging of his younger brother John, who had been dispatched by the family to locate him. He studied law at the Lawrenceville Academy in Lawrenceville and passed the bar examination, and then opened a practice in Abbeville. He joined the Confederate States Army in July, 1861 and entered the army as Captain, 15th Alabama Infantry Regiment and eventually became the commander of the 15th Alabama infantry regiment in the spring of 1863. He fought in the Battle of Gettysburg, leading his troops in a series of charges on Little Round Top, where his brother John perished. This became one of Oates’s significant memories of the war, as he believed that if his regiment had been able to take Little Round Top, the Army of Northern Virginia might have won the battle, and possibly marched on to take Washington, D.C. Oates later stated that if even a single additional Confederate regiment had joined the assault, the attack could have succeeded, turning the Union’s flank and threatening the entire Army of the Potomac. His [Col. Chamberlain‘s] skill and persistency and the great bravery of his men saved Little Round Top and the Army of the Potomac from defeat. Oates participated in the battles of Chickamauga, the Wilderness, Spotsylvania Court House, and Cold Harbor. After transferring to the 48th Alabama, he was wounded near Petersburg, Virginia, losing his right arm, which ended his active service. Oates resumed his law practice in Henry County, Alabama, and served as a delegate to the 1868 Democratic National Convention. 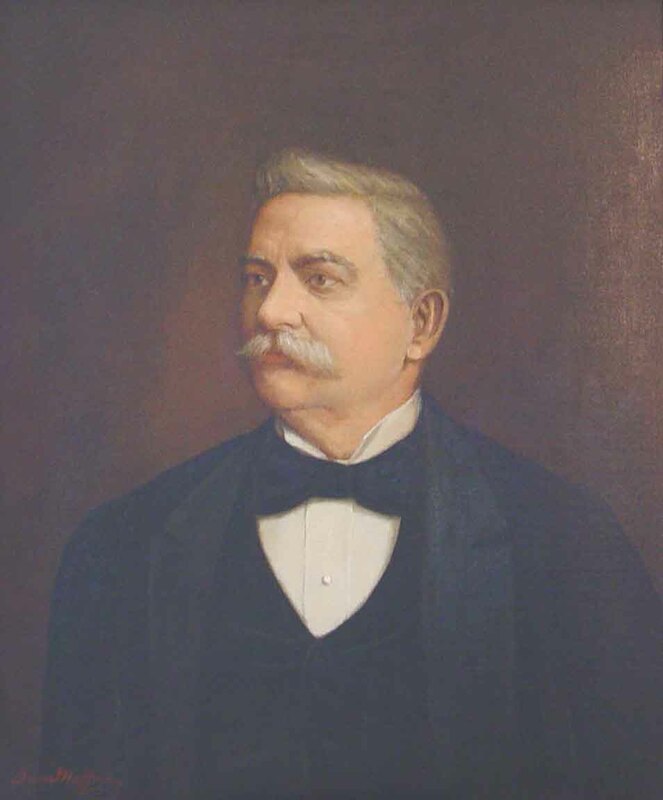 From 1870 to 1872, he was a member of the Alabama House of Representatives. In 1880, he was elected to the U.S. House of Representatives, where he served seven consecutive terms. Oates married Sarah Toney of Eufaula on March 28, 1882, and they had one son, William Calvin, Jr., who eventually joined his father in the law practice. Oates was elected governor of Alabama in 1894 in a bitter campaign. Two years later, he unsuccessfully tried to secure his party’s nomination as a candidate for the United States Senate. President William McKinley commissioned Oates as a brigadier general in 1898 and he served in the Spanish–American War. He returned to his law practice and speculated in real estate. He tried unsuccessfully to have a monument erected at Gettysburg to his comrades in the old 15th Alabama, including his fallen brother. Oates died in Montgomery, and is buried there in Oakwood Cemetery.